The key to a successful winter is a great, and stylish, sweater. This fair-isle neon sweater from J. Crew is absolute perfection. A great sweater makes for an easy outfit - throw it on with a pair of pants, and boots, and you're all set to go. 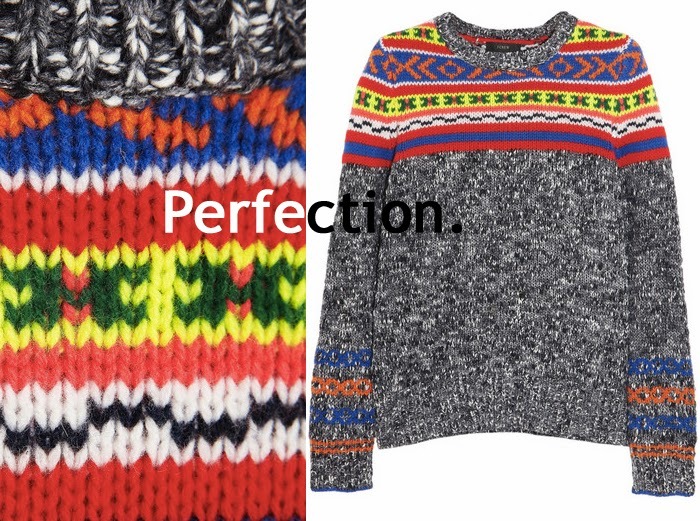 I do enjoy a great fair isle print when it's not too overwhelming, so A+ on this sweater!